You might have wondered why I did not post a lot recently. It is because of this post. I have put a lot of time and effort in the research and test drive of book cataloging websites. Why? Because I think it is very important to keep a list of your books online. Let me tell you why. When you are as much attached to your books as I am, the worst thing that could happen is losing them. In case of a fire or some other disaster, I would not be able to save all my precious books. This is why I have all of our books safely stored online now. For insurance purposes. If our house burns down, I will always have a list of the books we owned. This is why I urge you to catalog your books online if you own a lot of them or if are a serious collector. Cataloging your books is not only very important and reassuring; it is also a lot of fun! Of course you do not have to use the websites dedicated to book cataloging to keep a list of your treasures. You can also make a Word or Excel document and send it to your online e-mail address and save it there. Please make sure you keep your list, or a copy of it, in a place where you can access it no matter what. Below you will find a list of websites that enable you to catalog your books online. Most of them are free. I have tested the services of the four book cataloging websites that are around at this moment. If you disagree with my opinion, have different experiences or know of another online book cataloging service, please let me know. Click ‘more’ to see my online catalog test. To be as accurate as possible, I have researched and joined each one of these programs. After that I tried them out, to let you know what I think. Of course, this is my personal opinion only. Again, if you use one of these services and would like to add to this information, please do! Price: You can add 200 books for free. If you want to enter more, you can choose to pay 10 dollars a year or 25 dollars for a life time. Countries: For different languages; go to the upper right of your screen and select ‘other’s’ for one of the 30 languages. LibraryThing is getting more and more translations. The users can also help to translate it. Click here to see if LibraryThing is available in your language. Features: This is an easy to use application. Even if you do not have much knowledge of computers, you would be able to manage this. LibraryThing enables you to catalog your books in different ways. You can add tags to your books to make categories. It is possible to display the list of your books in five different ways. You can liven up your list by choosing book covers for your books. If you do not only want to catalog, you can take it a step further. It is also possible to mark your books, for instance read or unread. You can also mark the quality of it by giving up to five ‘stars’. If you love to talk books, you can also write reviews and share them with others. In case the books of other people interest you, you can browse and see who has the same books as you do. If you find an interesting library of another reader you can decide to make them a friend, or store there library as ‘interesting’. You can also send messages to other people at LibraryThing. There are also some authors on LT. You can search their libraries and mark them as ‘favorite author’. Importing Books: LibraryThing enables the user to get information on their books from the different Amazon websites, the Library of Congress and 82 library databases all over the world. The user can do this by typing the ISBN number. You can then select the database from which the other data (title, author, year etc.) will be collected. This saves a lot of time and trouble, because you do not have to enter all of these things yourself. Barcode Scanner: You can make it even easier if you purchase a CueCat. This Barcode scanner prevents you from typing loads of ISBN’s. I’ve got one and it made it easy and quite fun to scan all our books. They are only 15 dollars and they arrive very quickly. Click here and here to learn more about the CueCat. Overall: You have to pay for this service if you want to enter over 200 books. The website is very user friendly, but looks a bit old fashioned. LibraryThing offers lots of languages and resources in a large amount of countries. The best thing is that you can scan your ISBN’s, which saves a lot of work. And the scanner is cheap too! Price: Seems to be free no matter how many books you enter. Countries: Seems to be only in English. If you search for a book in a different language, in my case Dutch, it might come up with it! Features: You can not only catalog your books. It is also possible to explore users, books and groups. Shelfari is very easy on the eye, the design is one of the best around. Covers of your books are displayed in the size the user likes. Unfortunately, there seems to be no list view, so you can see a list of the titles instead of just the covers. Good thing is, here is an indication of which books are just added. You can make friends and decide who can see your friends. No wonder Shelfari is working with FaceBook. This is the Book Lovers Face Book. The user has a lot of choice. You can choose if you want public notes, private notes etc. It is also possible to get and receive book recommendations. Or better; join a group about your favorite author. You can also start an online book club. Shelfari also has tools to show your collection on your blog, website and social networking site. Importing books: You can only enter books by entering title, author, ISBN or subject. Not clear how it comes up with the books. If your book is not in the list, you can search via Amazon. The book cover immediately pops up. You do not have to search for it. Easy to navigate. Barcode Scanner: not usable, as far as I know. Overall: The service is free. The website and the menu’s look very good. The website and menu’s are user friendly, even though it is not possible to scan books. Unfortunately Shelfari is only available in English. Books other than English/American are not always supported. Price: Free. No limits to the amount of books. Countries: The site starts in English after registering. Push the word English in your upper right screen. Beneath it are the languages English, Russian, French, Spanish, Dutch, German, and Ukrainian. After pressing different languages, I found out that the amount of translation from English differed quite a bit. As far as entering different language books are concerned; I could not find out which databases are supported. I added some of my Dutch books for trial, but the books were not found on most occasions. Reader2 found one of my Dutch entries, but data was far from complete. English (famous) titles were not found either. Features: This website concentrates on the social aspect of collecting. You can organize your books by adding descriptions, links an tags. You can also rate and review your books. Reader2 also enables the user to search for people who share the same taste in books. Via RSS feeds, you can be updated on the (new) books of your friends. It is also possible to export lists to your blog. The website and the cataloges are not attractive, though. Besides that, the navigation is quite poorly. It takes quite a while to get used to the menu’s and to find your way. Importing books: You can import books by typing all the details. You can also import a book by typing the title, which enables you to search in Amazon.com. It is not clear though, in which catalogue you’re searching since you cannot choose one. Barcode Scanner: This service is not supported, as far as I can see. Overall: Reader2 is free, but it looks a bit amateurish. You can choose a language other than English. You have to enter most books manually, since Reader2 does not find the data of most books. Navigation is confusing and often annoying. The Google ads on top of the screen were confusing as well. It looked like part of the menu. Barcode scanning is not possible. I would not recommend this service at this point. Countries: Website is only in English. A lot of countries are supported as far as importing books. You can search in over 350 public libraries all over the world, as well as the Amazon websites. Features: This program is not specifically for books. You can also use Gurulib for DVD’s, CD’s, games and software. And even your documents! Gurulib has blog widgets, so you can share your collection(s) on your blog. The program looks quite old fashioned, but it is easy to find your way. You can create shelves and write reviews for your books. It is also possible to make a borrowed shelf, wish list shelf and recommendation shelf. A nifty feature is the Smart Price Watch. You can set the price you want to pay for a book on that is on your wishlist. Gurulib will send you an e-mail you when your price is in reach. (I have not tried this feature.) The program also tries retrieves images of your titles. If none are supplied, you can upload your own. You can even change the color theme of your database. Importing books: Via Gurulib you have access to over 530 databases all over the world. 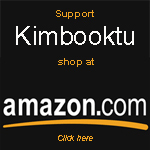 You can search in the usual Amazon servers of the USA, UK, Germany, France, Japan and Canada. It is also possible to search via Public Libraries. These are sorted in alphabetical order, instead of by country. I hope they change that. All in all, the huge amount of databases, makes importing your books so much easier. Unfortunately Dutch libraries are not included. Another way to import your books is to photograph the barcode with a camera or webcam. (I have not tried this feature.) It is, of course, also possible to enter your books manually or search by ISBN. Bar code Scanner: It is not possible to scan your books via a bar code scanner. Overall: This website is not only free, but also very user friendly. It does not look very attractive, but it is easy to find your way. At least, if you speak English. The website is only available in that language. GuruLib is supported by loads of databases and you can add other collections and documents too. My verdict: All of the four websites offer the same service; they enable you to catalog your books online. One of them, GuruLib, enables you to catalog other things too. LibraryThing is the only one that requires payment, the other three are free. Another thing that LibraryThing has that the others lack, is bar code scanning. This saves a lot of time and RSI when you start cataloging. The other big difference between the four services is the languages available. LibraryThing translates in a lot of languages and supports books from a wide variety of countries. Reader2 also has the option to change the site to a different language, although there are not many. The other two, Shelfari and GuruLib, are in English only. If it comes to finding data of your books, LibraryThing and GuruLib are the best. They almost always retrieve the data of your books, which saves you a lot of time typing it. If you have a lot of books to catalog and do not mind paying a small amount, LibraryThing is perfect. The barcode scanning, the language support and the availability of Dutch databases did it for me. LibraryThing is the winner for me. For the other, free, ones it depends on what you care about. If you choose pretty and easy navigation over convenient cataloging, you might want to go for Shelfari. If you want to catalog your books fast and do not care about flaunting your shelves, look into GuruLib. Do they have dedicated scanners to read ISBN numbers? Typing hundreds of titles–you’d have to hire a secretary! At this time, only one of the four cataloging websites enable scanning of ISBN codes (LibraryThing). If the books are older, and do not have a bar code, you have to enter your books manually. If you use a cataloging website that has a catalog of your country, you often only have to enter the ISBN by hand. (Some older books have an ISBN inside.) The other information is then found in the database. When you have a really old book, without bar code or ISBN inside, you can only enter the data manually. Chances are that this is a minority of your books. If not, as you said, a secretary might come in handy. Thank you Kim for taking time to review GuruLib. I liked your article. I would like to point our that GuruLib supports cuecat barcode readers. I personally have couple of cuecat readers that I use to add books and DVD. In addition, GuruLib supports the notes and adding attachments to each book,DVD etc. Notes and attachments are good if you are teacher and need to jot down quick notes about the book that you are teaching. Attachments helps you to add PDF, DOC or PS documents to each book, DVD etc. This could be additional teaching materials. One final thing is that GuruLib is the only service that allows cataloging of PDF, DOC, PS, PPT and XLS documents. If you are a research student and have tons of research material to catalog, GuruLib is the place to go. if anyone is interested, i did my own review before, of some of the sites above and a few others more. Thank you for your kind words about LibraryThing! Would you mind if I use a quote from your review on LibraryThing’s buzz page? I’ve signed up but I’m not sure how I feel about it. Of course, they’re trying to sell books as well, so I keep that in mind. I’m a fan of LT.
@ All: If you think about online cataloging, just choose the one that is right for you. I will keep updating this post with the latest information for each company. this is a fantastic entry! thanks for trying these out and giving us your ideas. i personally started with librarything but found shelfari so “cute-looking” that i shifted. Is it possible to have custom fields associated with the catalog? For example, condition of book; signed; edition; etc. It doesn’t appear that any of the services allow for additional data beyond what can be associated with the ISBN. There are collector software packages that do this but I’m wondering if any of the free services do so. Oh, I didn’t know about the importance of cataloging our books online! Now, your post just got me thinking. Yeah, I’d certainly be heartbroken if my books were to be lost in a fire or in some other disaster…guess I had better start recording my books soon! And wow, your research is fantastic! @ Jngah: Most of them have a field which you can use for that information. Did you ever check out collectorz.com? Would someone’s opinion about this site. One advantage over the librarything site is that there is just the fee for the software & as far as I can tell you don’t have to pay a yearly fee for a large amount of books. Thanks. You can also use Library Thing to keep track of books that you have read or plan to read. My Library Thing library is not a list of what I own, but instead is my reading log. I also use the tags “to read”, “to listen to” (audiobooks) and “wish list”. I may at some point add my own library with “owned” as the tag. The real power of Library Thing is that it is very easy to find suggestions for similar reads. We intend to catalog all the books/articles of our library.Please advise how can we do the same using Barcode gadgets. I’m looking for a site that I can catalog my work library. Most of these items are not published books but reports we’ve done or related pamphlets/newsletters. Any suggestions on which one would be the best for that kind of thing? Thanks for this research by the way! I know this post is pretty old. But have you checked out goodreads.com or bookjetty.com ? Personally I don’t know which one is best. I’ve tried almost all of them. There’s no clear winner for me. Yeah, you didn’t mention goodreads, which I personally like more than shelfari because it is faster and more social and the info is much more complete (considering it’s a book cataloging site, that’s pretty sad). Plus, some authors are on GR. You can see I’m a fan. 😀 I like Shelfari’s tags though; they’re more gainly when searching. I just recently heard of bookjetty and tried it and it looks like it has potential, but there’s virtually no community whatsoever there. Anyone seen librarything? I don’t like that it requires a subscription, and now that authors are using GR to give away book ARCs I have little motivation to join LT.
I’m interested in finding a website to use to catalog the book collection of our local Historical Society, something that can be searched by subject (some local subjects) as well as title and author. Would any of the websites reviewed here work well for that? Or are you familiar with other websites that would work better? Great article. I was looking for a free catalog website and i’m trying Gurulib and Shelfari right now. I’m also dutch, so it’s good to know, most books will be found. If you are publishing through a Canadian publisher, is it necessary for your book to be cataloged through the Canadian system, or could I still use LibraryThing? Do any of these catalog sites allow one to list quoted passages, phrases, etc from each book entered for easy reference & retrieval? I have well over a thousand books, and a few hundred DVDs, so this was super helpful to me. Thanks for doing all the hard work and letting the world know! Thank you so much for your reply! I am very happy that my post was helpfull to you. What program did you choose? Site visitors Mayhem Review- the content on this article is definitely a single of the most efficient substance that i?ve in fact are accessible throughout. I truly like your write-up, I’ll are offered once more to confirm for new posts. What free catalog program would You suggest for old books – 16th-17th century? (Library is quite large, not just hundreds). I would be really thankful for a suggestion. I am happy your blog sowed up on Google. I would like to add that since Amazon.com acquired Shelfari, you can enter all the books you have ever bought at Amazon.com with one click. Your entire purchase history will be transfered to Shelfari. That’s over 100 books I didn’t have to enter manually. Biggest collection of resume templates. You can find resume examples, ms word resume templates , cv sample, covering letter examples here. Excellent post. its nice to read your post. whoah this blog is magnificent i love reading your posts. Keep up the great work! You know, a lot of people are hunting around for this info, you could help them greatly. online books and catalogs are one of the best way to save the books, which are most important, and we can easily share it with others. Gurulib is down again, sometime in June 2012. I appreciate the library and feel helpless without it. I would rather contribute money to help ensure its availability than lose it. Is anyone else using it? Yes, i agree. I love Gurulib and would much rather contribute money than see it lost. I have quite a list on there started, as do some of my friends. nice thing. you can keep going. I seriously love your website.. Very nice colors & theme. Did you create this website yourself? Please reply back as I’m wanting to create my own site and would like to learn where you got this from or just what the theme is called. Kudos! I’ve always wanted two features on an online book catalog app: 1) the ability to list quotes from the book I want to remember as in a notation section, and 2) an effective search feature on the app that lets me find such quotes or other notations when I need them. Have you found these features in the apps you tested? Thanks for all your hard work. few words as possible; not more than five or six. I will right away grasp your rss as I can not find your email subscription link or newsletter service. clever work and exposure! Keep up the terrific works guys I’ve added you guys to my own blogroll. accession capital to say that I acquire actually loved account your blog posts. is working, no uncertainty very soon it will be well-known, due to its feature contents. It is best to participate in a contest for the most effective blogs on the web. I will suggest this web site! find a captcha plugin for mmy comment form? I’m using the same blog platform as yours and I’m having difficulty finding one? Have you ever thought about adding a little bit more than just your articles or blog posts? Your content is awesome but with pics and video clips, this website could definitely be one of the very best in its field.